A unique group accommodation in a listed monastery in the Overijssel town of Vechtdal. The former nunnery originates from 1927 and is located in the centre of Dalfsen. Enjoy the serene atmosphere and peace in the authentic chapel. The fully intact chapel and the confessional are unique. The listed chapel can be used as a breakfast or dinner room, but is also suitable for meetings (upon request). The common rooms, bedrooms and bathrooms are all on the first and second floors of the monastery. 50 metres away there is a park with playground equipment for the kids. 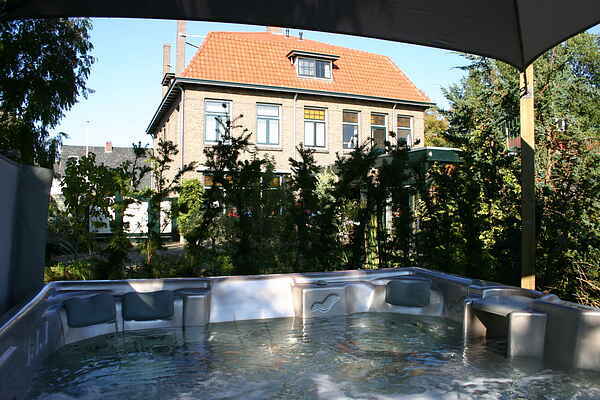 Dalfsen is located in the picturesque surroundings of the Vecht Valley, on the Overijssel river Vecht. There are many choices for beautiful walking and cycling trips. You can take a Solex trip along the most beautiful places in Dalfsen and the area. Historic Hanseatic cities such as Zwolle, Kampen, Hattem, Zutphen and Deventer can be reached by bicycle and/or car.